The option “Enable itemized transaction” enables product registration during order transaction so that in invoices users see not only the total of their order but also a list of the products in it and individual prices. Purchase details are shown to users also during checkout. In order to check if the plugin is functioning, you should check if the list with purchased products appears in order details during the transaction (when “Redirect” mode is set), or in “Reports” section on your Authorize.net account. 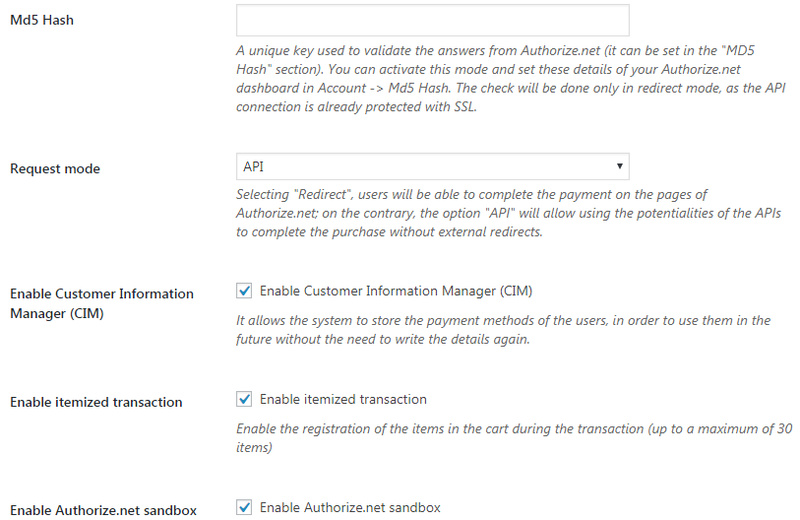 This allows the registration of the items in the cart during the transaction, with a max of 30 items.